Just wanted to sneak in a few words ‘til I sign off for vaca. I started this blog mostly because I was burnt out, to put it frankly. I design stuff for a living, and it can be pretty intense at times, as “fun” a job as it sounds. And often times I find being in the company of the people and pets I love most enjoyable. My cats have always been a source of entertainment and comfort for me. They are my best friends (because none of my people friends invite me for dinner anymore. Haha!). And I often find myself doodling them. You would think that having another thing to illustrate would be stressful. It is actually the opposite. I look forward to making each comic for this blog, and I wish I had more time to post one every day instead of one to two times a week. What I found interesting is that I get to meet a LOT of you cat people. Sometimes I wonder if I’m going crazy because some people think that I’m too obsessed with my cats. There are so many of you who take a bit of time to share your stories with me through email, through comments and through FB. It’s makes me feel good to know that many of you love cats as much as I do. So yay! I’m not the only person whose cat sleeps on her face, or “walks” her cat in the yard or lets her cat drink from her cupped hands under a trickling faucet! Happy Holidays/Merry Christmas! See you next week. Merry Christmas :D Hope the kitties enjoy the boxes and wrapping paper, this seems to be their source of enjoyment. Oh and of course the turkey! Have a purr-fectly wonderful Christmas! Best wishes from another household buried in cat fur ( wouldn't have it any other way! ). Hunni, Crabbi, Piggy, AlleyC, Einstein, LuLu, Meoweh, Gabriel, and (finally) Neko. "Sometimes I wonder if I’m going crazy because some people think that I’m too obsessed with my cats"
I am a cat person and my cats rule the house. My belief is "all kitties are good kitties" so rarely say no to them. Yes I am a crazy cat person that is why I enjoy your strips so much because they ring true. I recently adopted a feral stray that likes to sleep on my face I let him because I am afraid to move him ( I might get scratched) and he is a cat so he rules and will learn how to behave around humans given time. I'm not really a cat person but I really like your blog. Love your little comics, they are hilarious and very true to life. Merry Christmas!
" I don't know what me & my husband would talk about if they weren't around"
Probably about your ruined marriage. Merry Christmas to you, Victor, Shelley, Money, Wonky Kitten, and Puppy!!! i dont have a cat yet, but i think that all of the things you do are perfectly normal o__o i mean, its a cat! I know the feeling. I'm obsessed with my cat too. And cats in general, but it's better that my insanely possessive cat doesn't know about that :) Merry Christmas! I'm actually a rat person. And yet almost despite myself, and despite the fact that I discovered your blog via a person who left on bad terms, I find your blog fascinating, and am thrilled each time I see an update. The humanity and humuor of the illustrator (you) shows with each new comic. May you one day receive millions from an anonymous donor. Like! LikeLikeLike. ;) And I second Yukirat's wishes for you... then we could have new comics every day! I have been a cat person as long as I can remember, but my husband is allergic, so no kitties for me. :( that's why i love your blog! 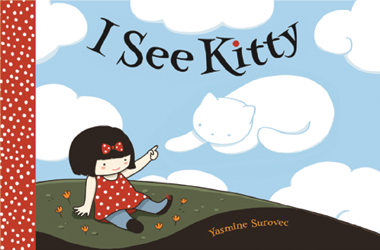 i just had to quip in here; cat vs human is one of my FAVORITEST new blogs, and it actually took me a few days to realize you're the same yasmine over on print a day (which has been on my google reader for years now!) I knew I loved your style from somewhere! The funniest part is that I came across cvh totally randomly via a friend and not from your other blogs : D anyway, brilliant!!! these always make me laugh (out of "that happens to her too!?") ha ha! Just wanted to drop you a line and tell you that your blog is one of my favourites. I check it everyday to see when you have a new one. 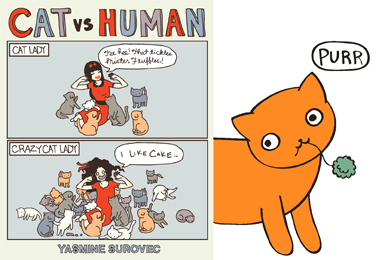 You're comics are so awesome Yasmine, and they remind me so much of my life with my two cats Bill & Patrick. You're not alone being a crazy cat lady. Started reading your comics and found this one. My Roscoe will sleep under the covers with his head on the pillow but will eat ice cream off of a spoon. He does many more goofy things but I lubs my rescue kitty. I have so much fun with your comics!! 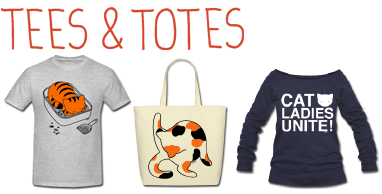 You are SO not the only one who loves that much cats! I also let my drink and eat from my food, and a lot of things more that just Kitten people understands..
My cat do the same thing, but I still love him!!!! AHHH! You NEED a very simple tutorial to drawing your cats! Please? For a late X-Mas present? I'm sooo sure it's because of this we're obsessed wif catz. No survival instinct.